針對Nokia與微軟德合作, 版主於2011年2月2日就在部落格發表看法, 認為這是欠缺Deep thinking的作法,反而會讓對手坐大, 以後Nokia的市場只會剩芝麻那麼大! 結果, 不幸言中. NOKIA與微軟都曾是差點完成全世界人手一支手機與PC的巨擘, 為何在行動通訊之役敗到如此難堪地步呢? 過度數字(成本)導向並忽略市場需求, 就是最主要的原因. 昨天版主與一位台灣通訊業者大老吃飯閒聊, 他就感概的說, Nokia訓練出來的人, 都非常重視與善用”數字”. 其實過度重視”數字管理”, 也是即將退休的微軟（Microsoft）執行長鮑默（Steve Ballmer）的管理風格. 數字管理是管理企業績效的顯學, 不過過度依賴數字管理, 只會讓企業文化陷入”為數字而數字”的迷思. 數字管理是為了方便管理, 但不代表可以掌握市場需求. 如果企業的經營者, 只重數字管理, 不懂傾聽市場聲音, 當「破壞性的創新（Disruptive Innovation）來臨時, 即使是巨擘, 最終也是倒下, 只是時間早晚而已. Stephen Elop是微軟下一任CEO熱門人選, 版主沒見過他本人, 聽說是個很棒的Speaker(演講者). 兩隻火雞不會變成一隻老鷹.微軟想要突圍”iOS”與”Android”的夾殺, 換個新面孔CEO吧! 雖然新面孔的CEO不一定會讓微軟或Lumia手機突圍, 但火雞一定就是火雞, 不會變成老鷹!. 全球手機龍頭諾基亞公司（Nokia）11日宣布，將和軟體巨擘微軟策略聯盟，以微軟Windows Phone行動作業系統作為其智慧手機的主要平台，合力迎戰蘋果iPhone和Google Android手機。但市場並不看好這項合作案，諾基亞股價一度重挫12%，創近十個月來最大跌幅。Nokia選擇與微軟合作, 就中長期的策略思維來看並沒有錯, 但Nokia放棄與Google合作, 個人認為這是讓其他競爭對手繼續坐大的戰略敗筆. Google工程部副總Vic Gundotra在個人推特上發布「Two turkeys do not make an Eagle (兩隻火雞不會變成一隻老鷹)」的發言, 引述先前擔任Nokia副總裁的Anssi Vanjoki針對當年BenQ與Siemens合盟時的評語來反諷Nokia與微軟的合作。由此看來, Nokia確定短期間不會擁抱Google Android系統! 這也代表Nokia這次並沒有決定由The burning platform(熊熊烈火中的平台)跳下來, 而是選擇往更高層樓(頂樓)爬等待救援. 大樓失火的煙囪效應恐怕會讓Nokia原本只要由3樓跳下來的抉擇, 變成可能最後面臨是否要從10樓頂樓跳下來的抉擇. NOKIA + 微軟, 有辦法變成一隻老鷹嗎? 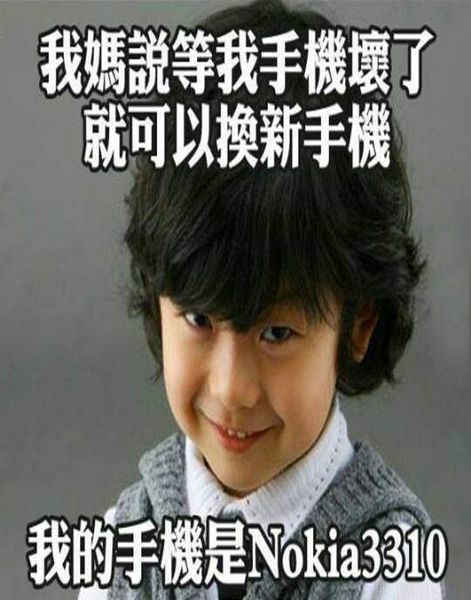 先來看張忠謀如何改造台積電的故事. 商業週刊“張忠謀六百天改變台積電“一文介紹張忠謀2009年6月老驥重拾戰袍如何讓台積電由停滯不前變成靈活的大象. 其中最關鍵的地方就是他觀察到外商正在培養second source, 但公司卻欠缺Deep thinking. 他在內部會議中痛罵台積電只投資高階製程的做法, 反而會讓對手坐大, 以後台積電的市場只會剩芝麻那麼大! 張忠謀「more than moore」(超越摩爾定律)的策略, 讓台積電去年的營收與獲利創下有史以來最好的一年. 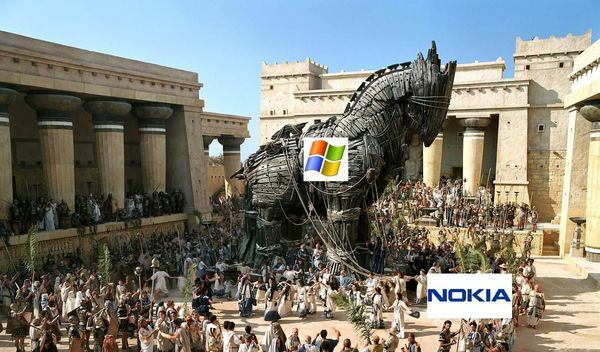 Nokia放棄與Google合作, 代表Nokia的思維就是想變成Apple! 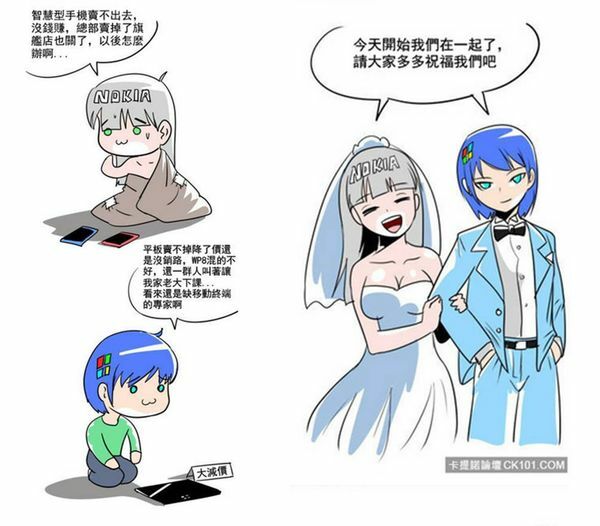 但大家都不是賈柏斯, 短期間都不能取代iPhone. Nokia+微軟的合作讓微軟由手機作業系統的Loser又重新站上了擂台是個大贏家, 但對Nokia而言, 卻有可能讓他的市場變的只會剩下芝麻哪麼大! 由於中國大陸與印度智慧型手機的佔比還小, Nokia的市佔還可苟延殘喘. 不過時間已經有限, Nokia選擇與微軟聯盟及繼續裁員, 恐怕忽視全球電信商的思維, 是個缺乏Deep Thinking的決定. Nokia過去十幾年來把其他競爭對手打到潰不成軍, 靠的不是其作業平台有多先進, 而是經濟規模下製造成本及全球營運成本較低的優勢+品牌知名度, 這項優勢讓所有競爭對手吃盡苦頭. Stephen Elop放棄Android平台主因是認為Android平台並不容易做出品牌差異性，尤其現行Android裝置平台普遍採取低價策略的狀況，對於解決Nokia當前困境並不是相當適合的決策，因此才會決定與微軟WP7進行合作。這跟台積電當初選擇只投資高階製程的做法思維是一樣的! Stephen Elop 滿足了董事會花小錢得高報酬的意, 但卻讓競爭對手有繼續坐大的機會. 若是Nokia選擇左擁WP7但右擁Andriod, 採取「more than Apple」的策略, 挾低營運成本及高品牌知名度的優勢, 相信會讓想靠Android翻身的一竿子競爭對手剉在等! 不過Stephen Elop畢竟只是一個新任的執行長, 不像張忠謀之於台積電是神主牌的地位, 還是沒辦法決定由熊熊大火往下跳的勇氣. 彭博商業週刊說: 「Apple 賈柏斯的堅持選擇太晚與Verizon及硬是要鎖住Flash所以讓Andioid系統趁機坐大!」 Nokia放棄與Android合作的決定, 讓其他品牌有了Andioid浮木可以喘一口氣. 螞蟻雄兵大戰「團團、圓圓」(熊貓)的結局, 半年後勝負應該就會揭曉! There is a pertinent story about a man who was working on an oil platform in the North Sea . He woke up one night from a loud explosion, which suddenly set his entire oil platform on fire. In mere moments, he was surrounded by flames. Through the smoke and heat, he barely made his way out of the chaos to the platform’s edge. When he looked down over the edge, all he could see were the dark, cold, foreboding Atlantic waters. At the midrange, we have Symbian. It has proven to be non-competitive in leading markets like North America . Additionally, Symbian is proving to be an increasingly difficult environment in which to develop to meet the continuously expanding consumer requirements, leading to slowness in product development and also creating a disadvantage when we seek to take advantage of new hardware platforms. As a result, if we continue like before, we will get further and further behind, while our competitors advance further and further ahead. Consumer preference for Nokia declined worldwide. In the UK , our brand preference has slipped to 20 percent, which is 8 percent lower than last year. That means only 1 out of 5 people in the UK prefer Nokia to other brands. It’s also down in the other markets, which are traditionally our strongholds: Russia , Germany , Indonesia , UAE, and on and on and on.